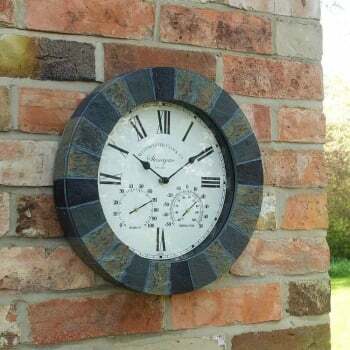 The Stonegate 14" clock/thermometer has a slate effect surround making it an ideal clock for the garden. It has a built in thermometer and humidity dial and is made from weatherproof polyresin. 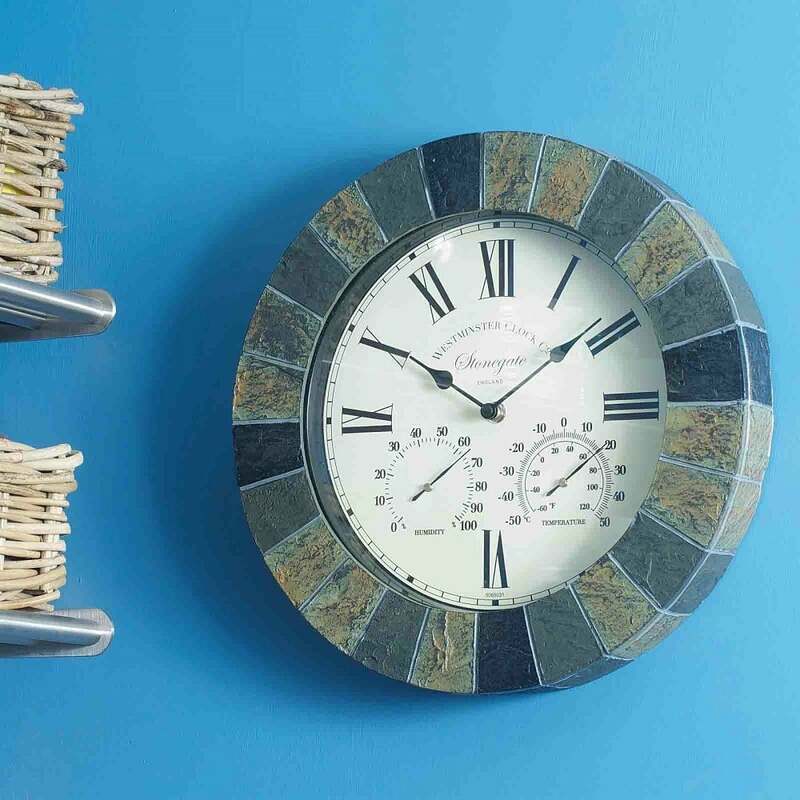 Suitable for indoor or outdoor use, the Stonegate clock requires 1 x AA battery (not included) and comes already gift boxed making it an ideal present.